[2015-2016] If you're like me, sometimes you cant get chocolate off your brain. And if you're really like me, that means that the majority of the time you dont buy chocolate simply for the fact you'll devour it instead of saving it for the rough days. Well, it's one of those days where I need chocolate but I don't have any... or do I? 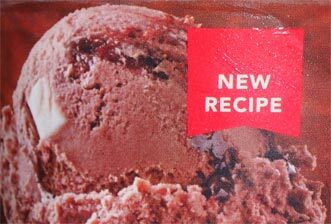 I didn't notice this at first, but there is a "new recipe" tag on the gelato containers. I guess this is for anyone who might think that these are related to their short lived triple chocolate gelato in those clear plastic containers from the last few years. 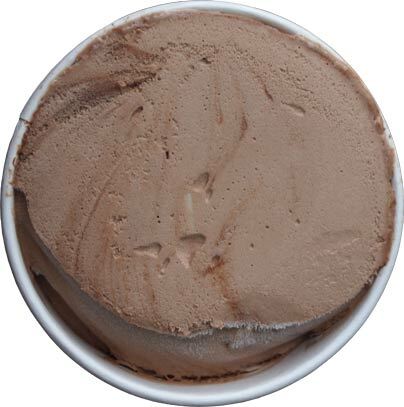 But it's a new manufacturer now and it's time to get scooping. Nothing too visually exciting at first, just a hint of swirl and if you look really closely you can see a white chocolate chunk poking through in the middle there. I snag a couple of white chocolate chunks, and you'll think me crazy, but I think I taste cinnamon. I scoop a small bowl and the sides are melting crazy quick while the middle remains fairly tough to scoop [though to be fair it is a hot day]. I take a few bites and I'm not loving this one at first, but let me dig in to it for a bit. Hold on. The swirl seems to be dominating everything. It's a fairly hershey's syrup like flavor and it dominates everything. 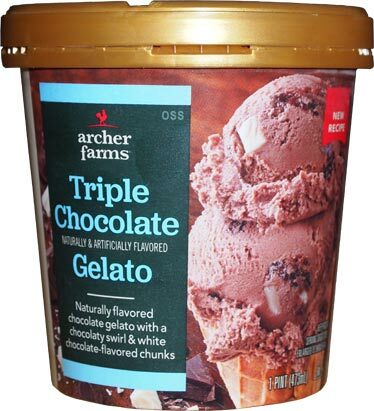 In other words, it may have three chocolate components, but it doesnt feel like triple chocolate. It's not the chocolate explosion of say Chocolate Therapy. Ok, this is a classic example of how semantics is getting in the way of a decent flavor. There's nothing particular wrong here, but it tastes like every other chocolate ice cream (or generic gelato) with a fudge swirl. I expected more from the name but got something all too familiar. That said, I'm still tempted to go scoop some more but I will wait. I think. @aol: not really a banana ice cream fan but have heard nothing but positive about that flavor. 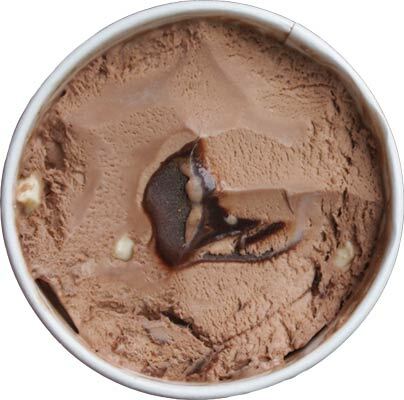 @anon: most of these new "gelatos" are not much different than ice creams, they are just trying to jump on the bandwagon pioneered by the likes of Talenti. It was a bit denser than there ice creams, but really, blindfolded, you wouldn't know the difference.